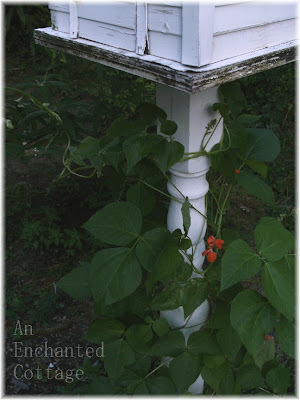 And the scarlet runner bean (whose flowers are very attractive to hummingbirds) are winding their way up the pole with reckless abandon. 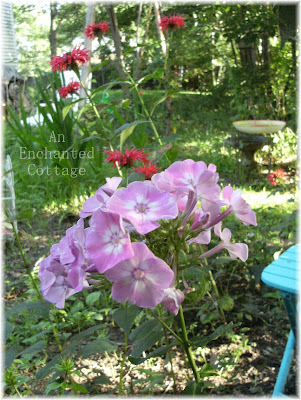 The tall garden phlox are now in bloom, although once again, I am hampered by a lack of sun here in the backyard. 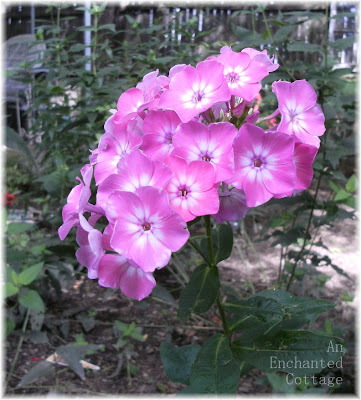 I finally got one photo that showed the true colors of the phlox - they are breathtaking! 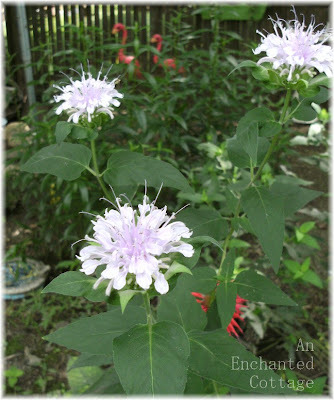 ....and now the pale lilac monarda are taking center stage. For the first year after being planted, I'm pleased with how the flowers are doing. Not being a natural at gardening, it is definitely a hit or miss process for me so I'm sure I'll be tweaking and moving things around for years to come! But not today... It's too bloody MUGGY out and Sammy and I would rather just relax and enjoy the garden, just as it is... After all, there are only a few weeks left before the crisper, cooler fall air makes its arrival!! Wishing you all a relaxing end to your summers!! COMMENT UPDATE: Lyn, Sammy was taking a siesta on the deck railing, but he looked up when he saw me at the slider with the camera. When the weather is this hot and muggy, all our Sammy's lay as flat as pancakes on railings or tree branches and their little hind legs look like frog legs! COMMENT UPDATE #2: Hi Betty! 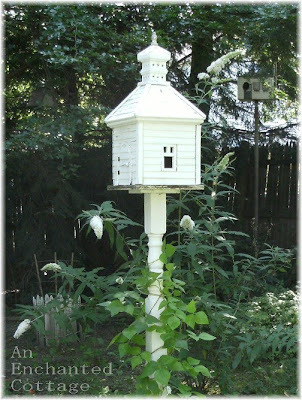 I got my birdhouse in the summer of 2008 from The Christmas Tree Shop, a chain of stores here in the Northeast. I did not see any this summer, however... If you do a search on-line, there are lots of great birdhouses available so I bet you'll be able to find just what you're looking for! Your flowers are so pretty. I just love Sammy...what a cute guy he is. 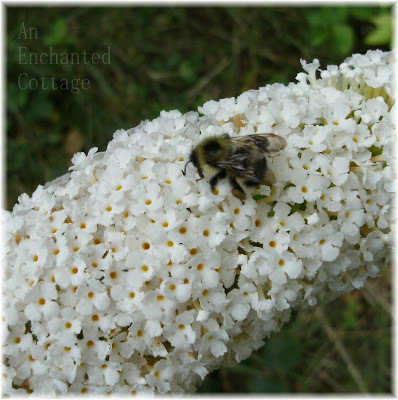 I love your garden flowers, thank you for sharing them. So pretty, Donna! 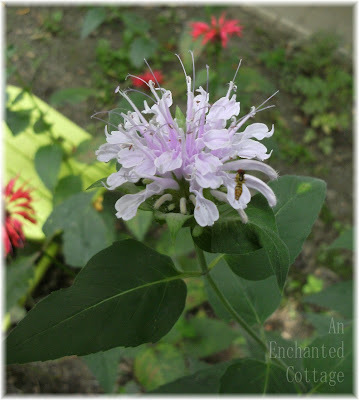 I love the lilac monarda - I'll have to look for some for next year's garden. 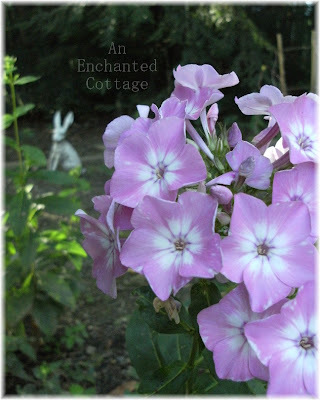 The phlox is such a wonderful color and I love the scarlet runner bean. You're giving me some ideas for next year! Oh, that Sammy! He is such a cutie. Have a great weekend! 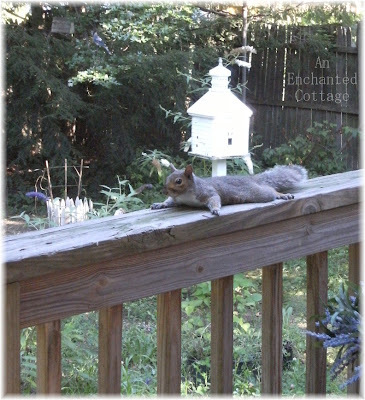 What cute little critters on your railings! Your flowers are so beautiful. I envy you the color in your garden. The weather just pounced my flowers before they ever got to a good start this year. Those are such gorgeous photos, your plants are SOOOO pretty! what a beautiful bunch of flowers!! And Sammy... he must be a great pet!! :D Loved your post. Have a wonderfully blessed day dear. 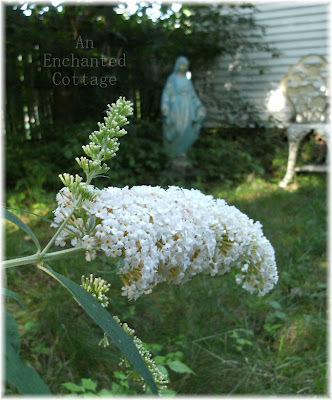 I love your shady backyard garden...it's probably as comfortable as it is beautiful! These are beautiful pictures Donna, you have a lovely garden. And that squirrel is a HOOT. You certainly have a green thumb. 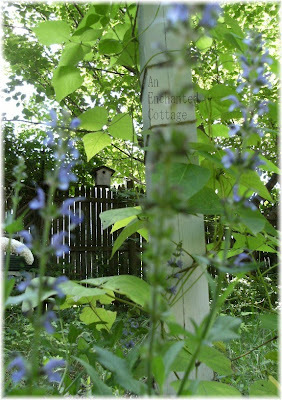 You must love being in your garden all the time. What a beautiful bloomin bunch of beautiful blooms! I hate to see the season and the flowers fade away. I have a squirrel here in the Ozarks named Rocky. No, he can't fly but I bet he and Sammy would have a nutty time together. Ya'll have a wonderful day!!! Donna, your garden looks just beautiful. 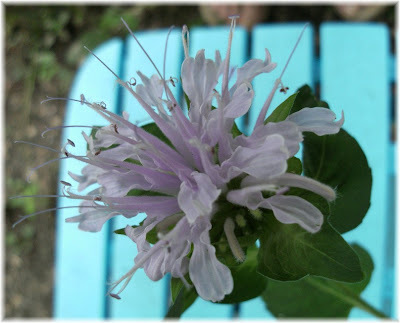 Love the lavender Monarda.